I knew from the beginning of my trip that I would use HK as a base to go home. It considerably shortened the flight time home and I had a friend in the area, Tessa! 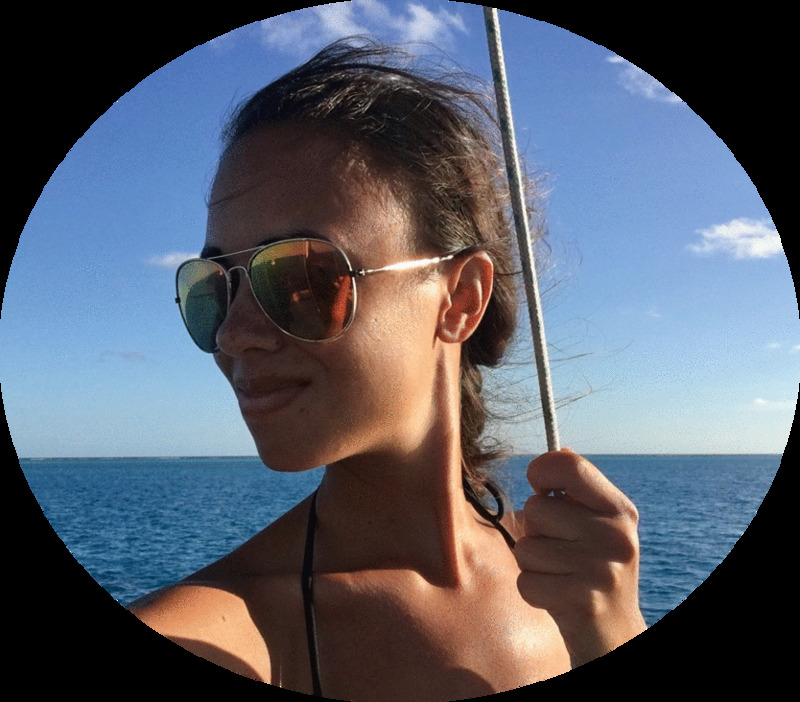 Tessa and I met two years ago when we were both getting certified in Koh Tao. In fact, she was in the same dorm room as Brooke and I when we started talking about the Australian work / holiday visa. 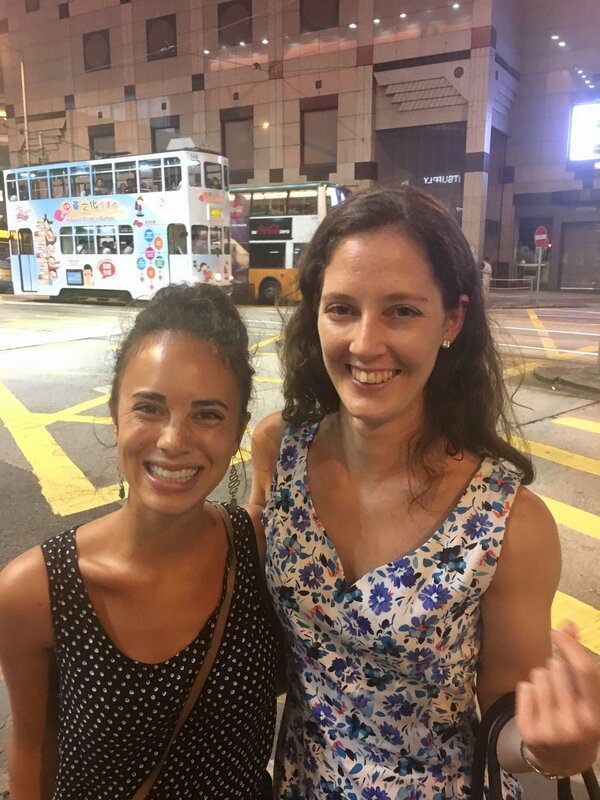 So it felt like things were coming full circle when I was able to connect with her again in Hong Kong. Hong Kong was a bit of a culture shock for me, which sounds weird because I've spent the last six months in Asia. But even stepping outside of my hostel was an adventure - there were people bustling about at a fiery pace, cabs and trams and buses hugging street corners, and strange Chinese characters and signs that weren't translated into English. The city itself exhausted me, even though I eventually found it very easy to get around, on the MTR and by foot. With my plane to Vancouver leaving in a few hours, I have to admit that I feel like I didn't quite do HK justice in the three days I had here. I remember meeting a Canadian guy in my dorm room in Koh Tao back in April. He spent all his time on his laptop, watching movies or skimming through social media. When we finally got to talking, I was surprised to find that he was actually a really funny, sociable guy. "Sorry, I know I've kept to myself a lot," he said, "but I've been traveling for a year and I go home in four days so I'm just using this time to wind down from everything." That's kind of how I feel. 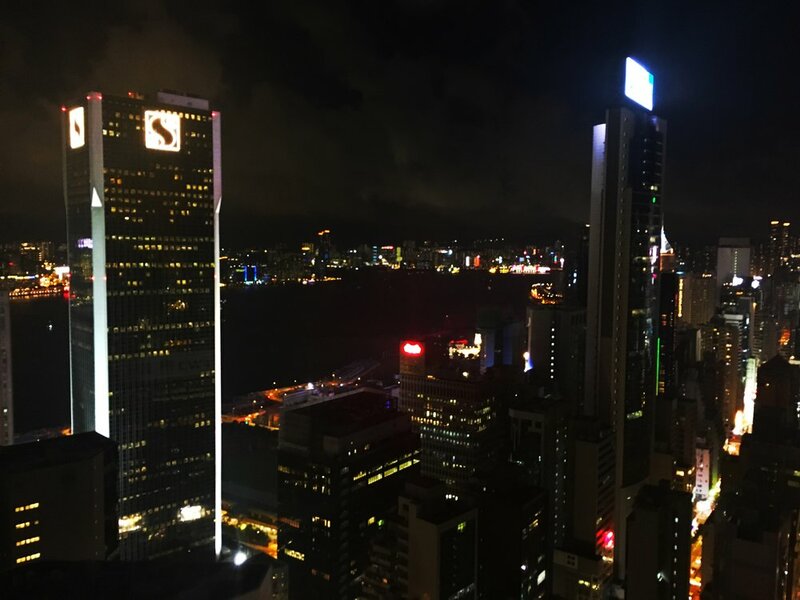 Had Hong Kong been one of my first stops on this journey - or even a stopover one month ago - I would have explored this city with gusto, circling MTR stops on a color-coded map and referencing TripAdvisor for things to do. Instead, I was content to just walk around, wander through malls, search out coffee cafes, and meet up with Tessa. My plan to write, edit, and upload photos to blog posts didn't work out because of HK's frustrating wifi limits (HK's wifi is very fast and reliable, but only when you can connect to it - many places, including Starbucks and Pacific Coffee, have 30 minute limits with a purchase). But I did manage to do a few touristy things! HK's subway system rivals Singapore's in terms of its ease of use, convenient MTR stations, and the Octopus card. The Octopus card is $150HKD, but you get $50HKD back when you return the card at the end of your trip. It's easy to navigate all of the stations, with a light up map above each compartment door and even a light signaling which side to exit on. The MTR gets really busy during rush-hour times, especially at the Wan Chai station. Thankfully I seem to be overcoming my claustrophobia in a lot of ways. I walked through this peaceful garden with Lara, a girl from Slovenia I met in my dorm room. The lush gardens were a nice escape from the city - I couldn't hear the rush of traffic and I found shelter from the sun under the trees. The nunnery is a large Buddhist temple that was built as a retreat for Buddhist nuns. The temple was quiet and lovely to walk through, with several lotus ponds and many gold buddha statues. Since this temple was only one stop from Diamond Hill, Lara and I got off to take a look at one of HK's most famous temples. 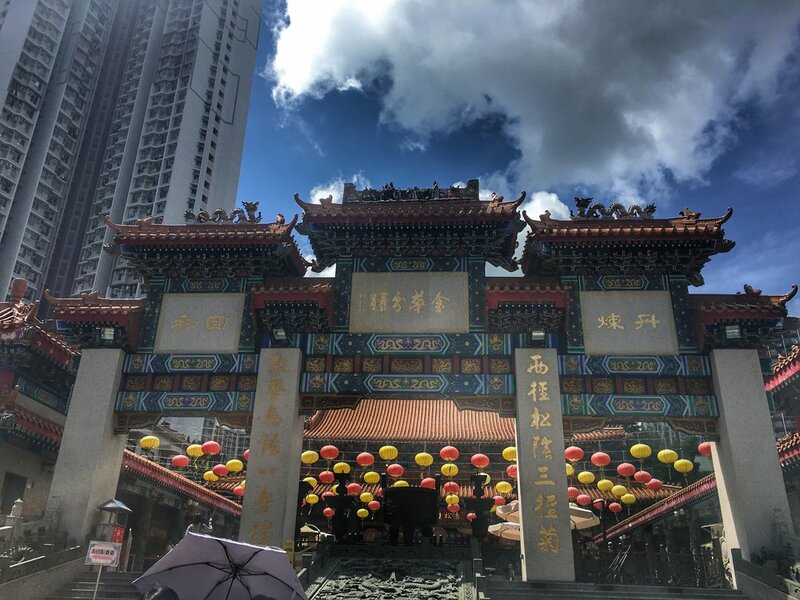 Wong Tai Sin is a traditional Chinese style temple and is highly regarded by the Chinese for its myths and fortune-telling. The complex did not have many signs in English, so Lara and I found ourselves confused as to where to go and what we were looking at. We also couldn't find the fortune telling stalls, which was disappointing. Supposedly, you shake a bamboo cylinder containing fortune sticks until one falls out. Then you exchange the fortune stick for a piece of paper and take it to a fortune-telling stall, where your future will be interpreted. Maybe it was a bad omen that we couldn't find the stalls! On the way back to our hostel, we got off to explore a few markets. The Ladies Market was full of stalls selling t-shirts, fidget spinners, jewelry, headphones, iPhone cases, and scarves. 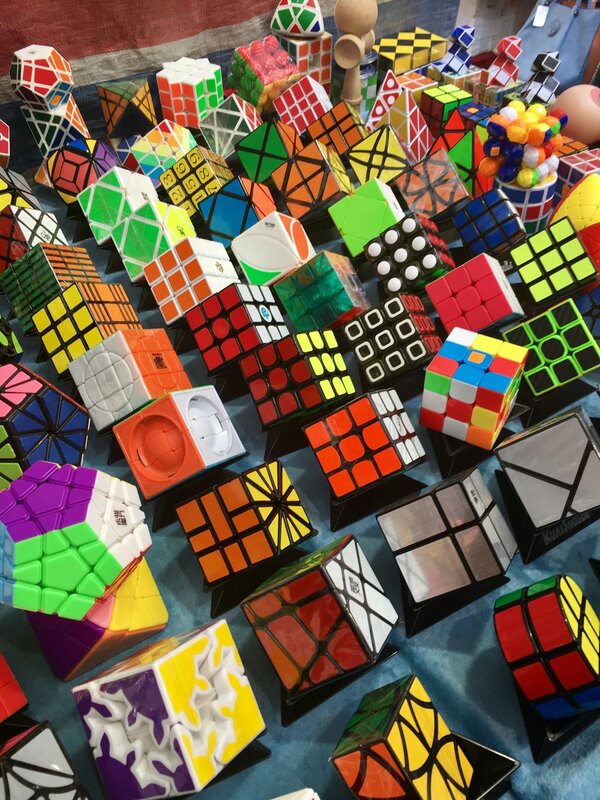 I even found a stall full of Rubik's cubes! We wandered around for 30 minutes and bought a few items after haggling, then decided that the heat had finally gotten the best of us. This is not a typical stop on the backpacker trail, but if you want a helluva skyline view and don't mind paying for a pricey cocktail to see it, then this bar is worth it. I met Tessa, her parents, and her friends on the rooftop for a few evening drinks. The view was fantastic, the drinks were great, and the atmosphere was lively. I was hoping to get an amazing view of the city at night, and this bar did not disappoint. 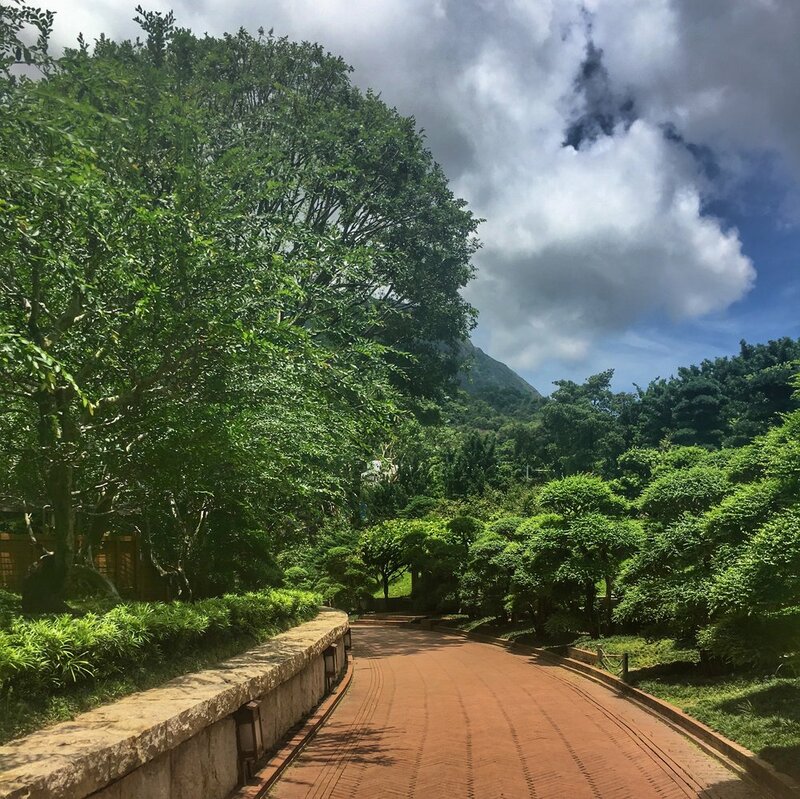 There is certainly way more to do in Hong Kong, even in three days! For me, I was happy enough just meeting up with an old friend and taking it easy in HK, but this place has so much more to offer -- you just need the energy to do it right! Where to stay: Ughhh I don't know if I can make a recommendation on where to stay in HK. I stayed at Yesinn @ Causeway Bay, which was one of the more expensive options at $189HKD / $24USD a night. Pros: great location, good wifi in the rooms, secure lockers, and generally clean. Cons: uninterested reception staff, breakfast not included, and the front door to the building was always unlocked. Worst of all, they had beds on the floor (which I unfortunately got) and I watched a cockroach crawl up the wall on my first night there. There was a very strong smell of bleach the next day, which I assume they use to clean the floors. It gave me a bad headache, and when I used my personal towel the next day, there were two huge white, bleach spots on it! I have no idea how they got there, but I was not happy about it.